Whystle is an app that provides you with safety information and product recall notices that affect you and your family. By personalizing safety information, Whystle helps keep you and your loved ones safe from potentially harmful (or even deadly) food, toys, and consumer products! MonDevices is a wearable technology company focused on improving quality of life for people in need of care. MonBaby is the debut product of MonDevices. It’s a smart baby monitor that tracks a multitude of variables such as a baby’s breathing movements, sleep position, activity and proximity while sending alerts to an app on the parent’s smartphone. MonBaby’s uniqueness lies in its universal form factor and attachment mechanism. The device consists of two parts, a button and a shell. The shell goes underneath the baby’s clothing and the button on top. The two parts are snapped together, trapping the clothing in between. With this design, Mondevices has solved the main problem with baby wearables: the baby’s growth. Unlike conventional monitors, MonBaby takes a proactive approach to monitoring. With conventional video or audio baby monitors, parents have to actively check in to see if anything is wrong with the baby. MonBaby is perfect for new parents because it gives them the ability to monitor their baby without constantly watching and listening to him or her. With the MonBaby app, parents can receive convenient alerts about the baby directly to their smartphone. 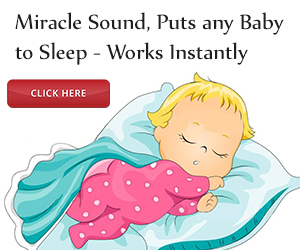 If the baby rolls onto her stomach or no breathing movements is detected for 15 seconds, parents will get an alert right away, so they can then quickly go into the nursery and check on the baby.